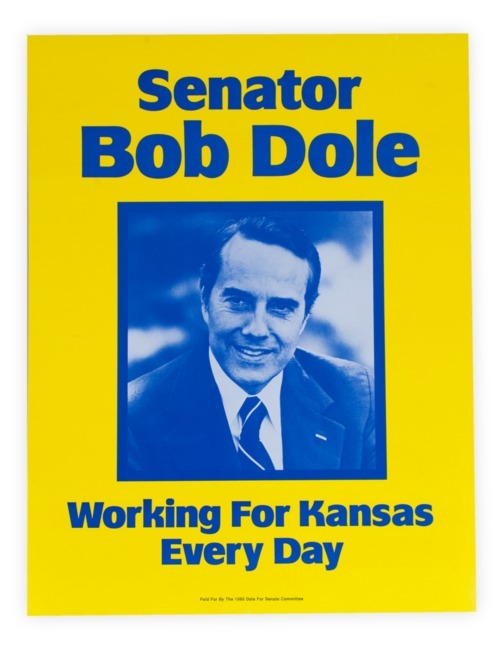 Yellow poster promoting Bob Dole's 1980 campaign for the United States Senate. Born in Russell, Kansas, Dole was partially paralyzed during World War II. He later served in the Kansas Legislature and United States Congress. In 1996, Dole was chosen to be the Republican nominee for President. As the incumbent in 1980, he easily retained the Senate seat.